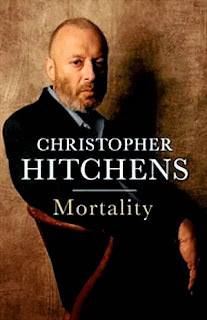 The Voyage Out: Mortality by Christopher Hitchins. All words in red denote a link which when clicked should open up another window. In a scene from my all time favourite film, Woody Allen’s Manhattan, Woody starts to recount those things that make life worth living. I have played this game with friends many times over the years. My list of things that make life worth living is; (family and friends are a given), Woody Allen of course, the film Manhattan, Virginia Woolf’s ‘Mrs Dalloway, Salvador Dali’s ‘Christ of StJohn on the Cross’, Charleston Farmhouse in Sussex, Monty Python’s ‘Life of Brian’, Morecambe and Wise, Peacock Butterflies, David Hockney’s ‘A BiggerSplash’, Hitchcock’s ‘Rear Window’, The Edinburgh Book Festival, David Sylvian, Philip Glass etc. Over the years there have been a few additions. Christopher Hitchens became one of those additions. I have been putting off the reading of Mortality for sometime knowing full well the subject matter contained within its pages; not only the last words of a superlative orator and writer but details of his horrendous illness, oesophageal cancer. My cowardice probably also stems from the knowledge that I am less than ten years away from the age that Christopher Hitchens died, 62. As to be expected the writing is not self-piteous, there is no element of self-aggrandizement in any of its 106 pages. Mr Hitchens style of writing makes one want to go around pulping every pencil, drain every pen and smash ones keyboard knowing that you will probably never write as well as he did. However, I am sure Christopher Hitchens would want you to buy new pencils, refill those pens and repair that keyboard and attempt to equal or better his writing. In ‘Mortality’, as to be expected, religion rears its ugly head in the form of monotheists letting Mr Hitchens know that he deserves to die, that God has struck him down in vengeance. Christopher Hitchens in his usual pithy and direct manner surmised that God was rather mundane and routine in his vengeance to give him oesophageal cancer which was highly likely to occur anyway due to his heavy smoking. My honorific review can never fully convey the extent of how wonderful the book is without falling into the quicksand of cliché. 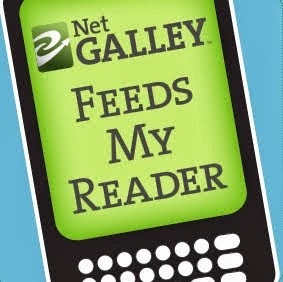 So, I will simply end this review with a direct and succinct command: READ THIS BOOK! First Line - "I have more than once in my time woken up feeling like death." All other reviews will, of course, be right here.